Have you ever seen your favorite stars on the red carpet and thought, “I wish I could have a smile like that…”? You’re in luck! With porcelain veneers by your Lexington dentist, Dr. Brewer at Brewer Family Dental, you can! Porcelain veneers are a wildly popular cosmetic solution that can correct a number of dental grievances. Thin strips of tooth colored porcelain are adhered to the visible surface of the teeth to give you the beautiful, straight, white, perfect smile you’ve always dreamed of. Porcelain veneers can correct several issues with a single procedure. Achieving a beautiful smile shouldn’t be complicated – with porcelain veneers, it’s simple! 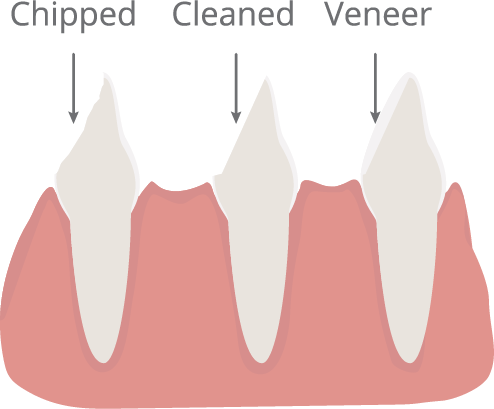 There are so many benefits to correcting your smile with veneers…where do we start? Let’s start with your confidence. If you have a smile that is less than perfect, chances are you are not as happy as you could be. When you’re happy with your smile, it shows. First impressions are improved, and new doors and possibilities begin to unfold. We see it in our patients all the time. Veneers can drastically improve the look of your smile, and your overall appearance. Not to mention they are more stain resistant than your natural teeth! At Brewer Family Dental, we use only the best treatment options on the market. That’s why we are proud to offer the number one requested brand of veneers, Lumineers. Lumineers are ultra-thin, so they can be applied seamlessly over your natural teeth. They require no shots or drilling, and can be completed in just two painless visits with Dr. Brewer. Transform your smile and your life with Lumineers. If you have any questions about what porcelain veneers could do for you, or would like to schedule a consultation with Dr. Brewer, please give us a call at Brewer Family Dental, your Lexington dentist today at (859) 554-4799.